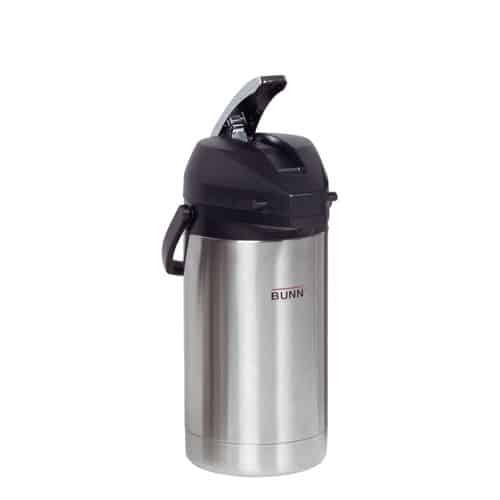 Easily transport fresh coffee to conference rooms, board meetings, breakfast functions, buffets, catered events, and more by brewing directly into portable BUNN thermal airpots. It’s as simple as ‘brew-and-go’. The BUNN Axiom APS Airpot Brewer is an excellent, state-of-the-art coffee brewer that makes great coffee easy – all you do is touch a button. 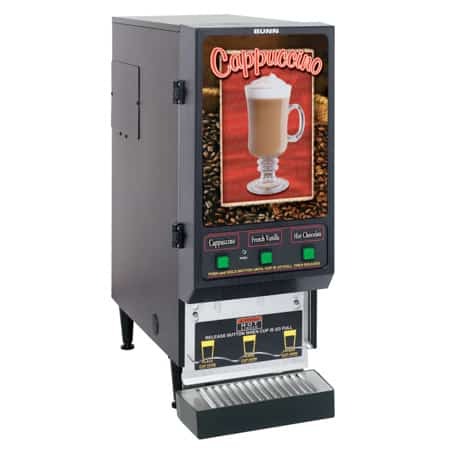 With the LCD touchscreen, changing brewing parameters is easy and intuitive. 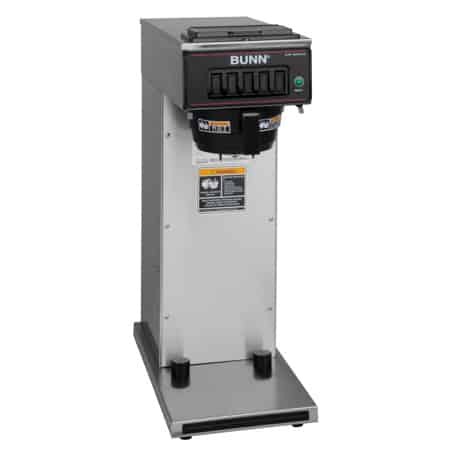 The Bunn Axiom APS is a great solution for brewing fresh coffee that is easily transportable. No need to transfer hot coffee from one container to another. 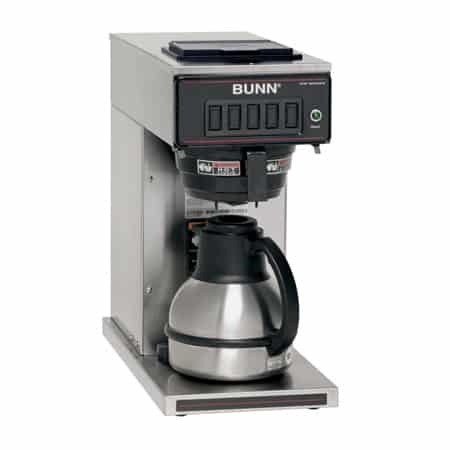 The APS Airpot Brewer allows you to brew your coffee directly into BUNN Airpots with a capacity of 1.9 to 3 liters. 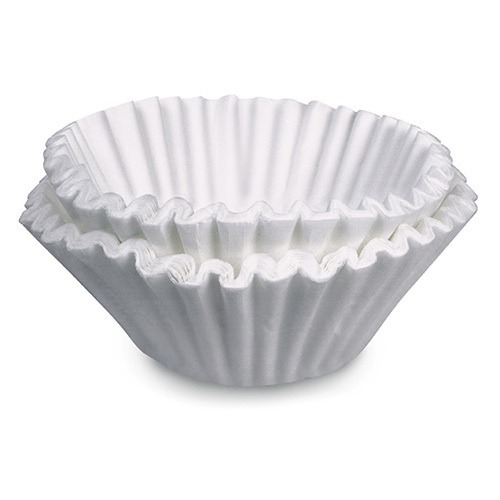 The coffee stays hot for hours without the need for a warmer, and the coffee can be carried and set in a place away from the brewer. Life is made simpler with the BrewWIZARD technology which allows you to set the brew level and reservoir temperature. The easy-to-read LCD screen on the front makes programming simple. 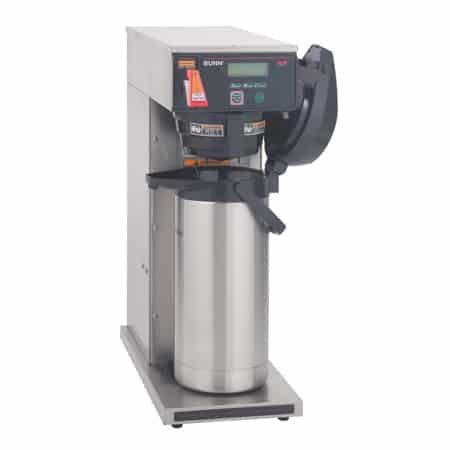 The Axiom APS comes standard with BrewLOGIC technology that determines the flow rate and adjusts the brew time to ensure consistent pot levels. The hot water faucet located on the front of the brewer lets you quickly prepare hot chocolate or tea. For your safety, the Splashguard funnel is included to prevent injury from hot liquid splashes. The Axiom is dual voltage – use on either 120 or 240V electrical circuits. Electrical requirements are easily convertible by flipping a switch to: – 120 volt, 15 amp; 120/208 volt, 15 amp; 120/240 volt, 15 amp. The brewer is also available with a Gourmet funnel. 120V/15 amp – requires 2-wires plus ground service rated 120V,single phase, 60 Hz. 120/208V or 120/240V, requires 3-wires plus ground service rated 120/208V or 120/240V, single phase, 60 Hz.